Crownpoint Condominiums are located off Humbert Road in Godfrey, Illinois. These recently built 2 Bedroom 1 Bath condos are located in a quiet residential neighborhood. 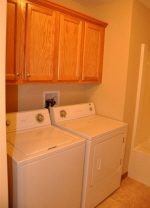 Each unit has all new appliances which include stove, refrigerator, microwave, dishwasher, washer and dryer. 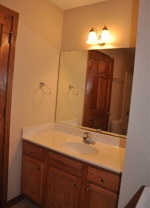 Interior finishes include Stained Doors and Trim and Oak Cabinetry. At the rear of unit you will find a private concrete patio for first floor units and a private cedar deck for second floor units. These units are leasing from $795 per month with a one year lease. Contact Mike at 618-407-8099 to set an appointment for viewing.